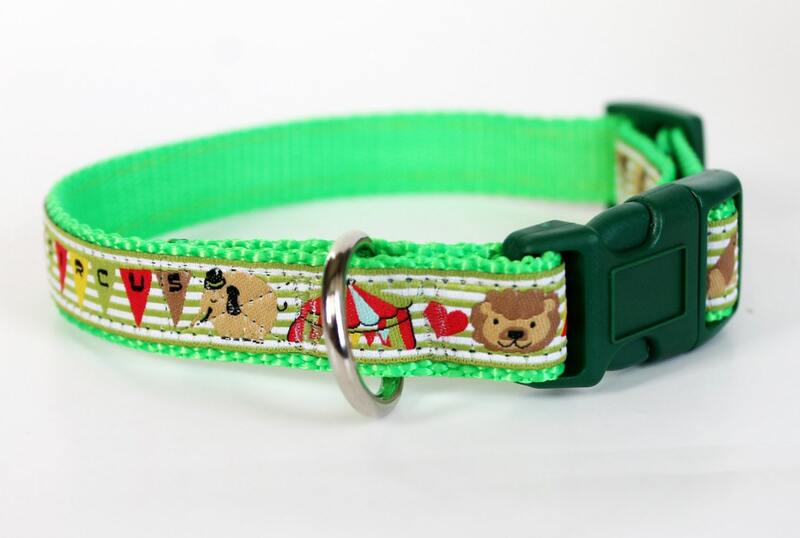 Cute Green Circus Dog Collar. 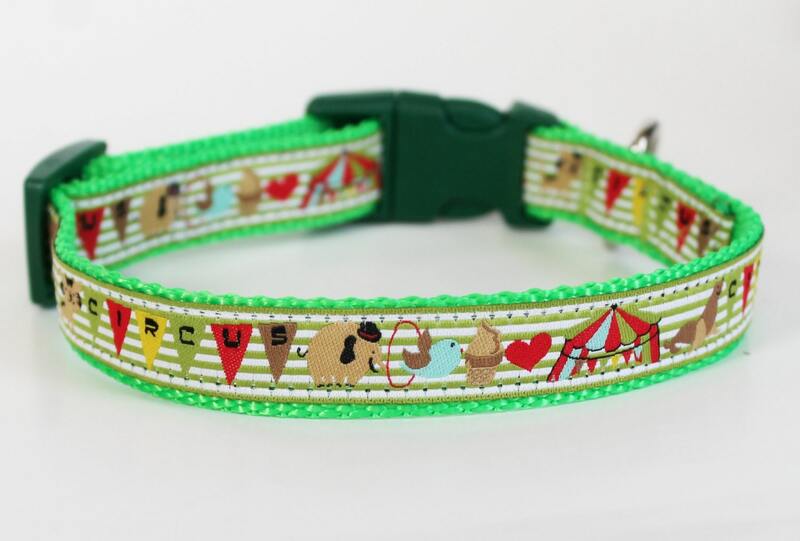 The adorable German ribbon with Light Green stripes and circus animals is placed on heavyweight Lime Green webbing. 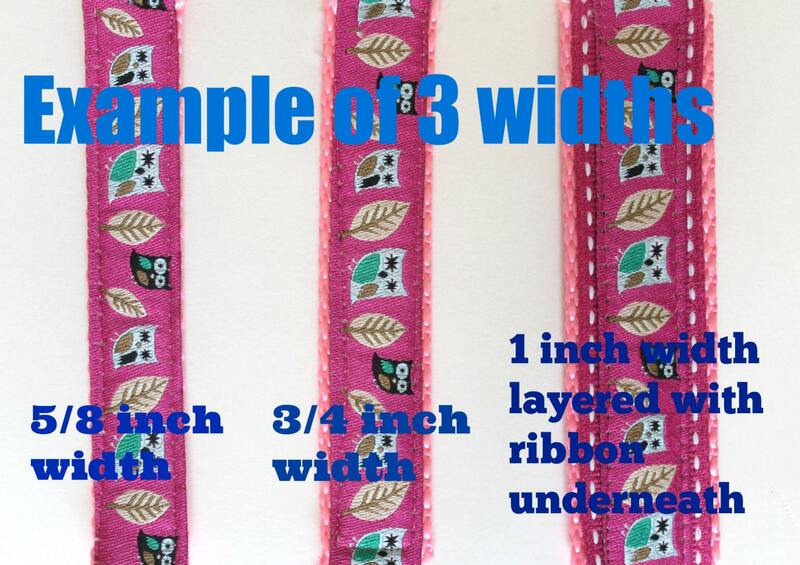 If a XS collar is purchased then it will be placed on 5/8 inch width ribbon. You are also welcome to change the webbing. Please choose your buckle color. *Collar pictured is a 3/4 inch width webbing. Example of the varying widths in last picture. *Production time - 7 to 10 days. If you need this quickly, please contact me! *Color may vary per your computer computer monitor. 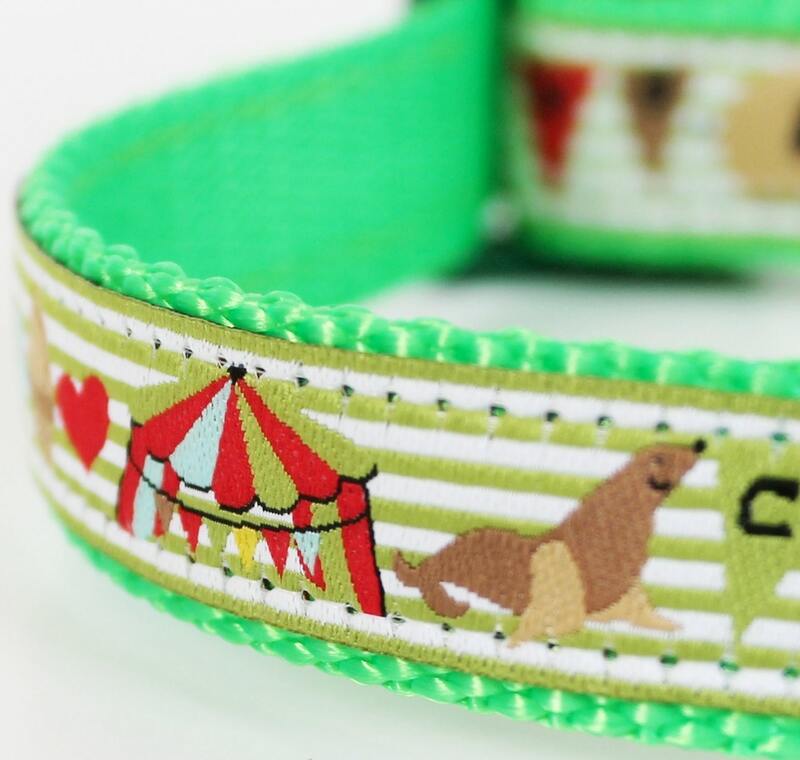 Beautiful collars! I absolutely loved the whimsy of the designs. Highly recommend for both beauty sand quality. Very cute! Fits my English Toy Spaniel great!